Preheat the oven to 425°. On a large rimmed baking sheet, toss the bratwurst with the peppers and olive oil and season with salt and pepper. Roast for about 20 minutes, until the sausage is browned and the peppers are tender. Meanwhile, in a small bowl, mix the sour cream with the mustard. 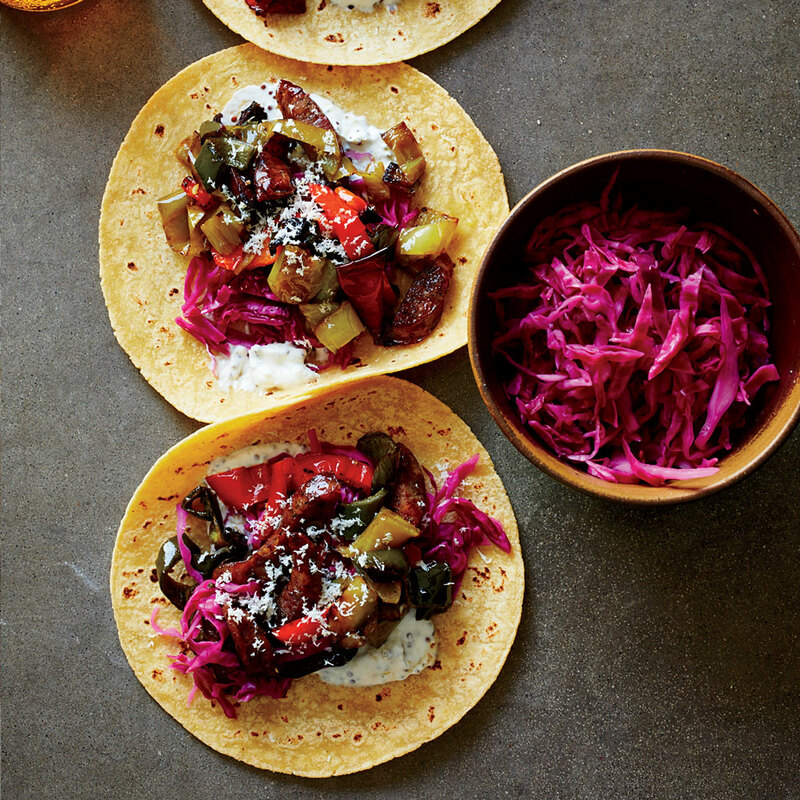 Spread the mustard cream on the tortillas and fill with the bratwurst and peppers. Top with pickled red cabbage and grated horseradish. Serve right away.